GTR’s Q1 magazine out now! As you can probably tell from the cover, this issue is more obviously about commodity trade finance than some previous ones. This themed approach is one that we’ll be carrying through to all our quarterly publications this year. Q2 will be The Awards Issue, and will include the results and write-ups of both our Best Deals and Leaders in Trade winners; Q3 will focus on export finance and Q4 will be the Sibos issue, with an emphasis on all the topics that we expect will be explored at this annual event. But that’s not to say that we won’t be covering our usual patch in each of these publications: the team will continue to deliver news, analysis and features across all aspects of trade finance, and in all regions. 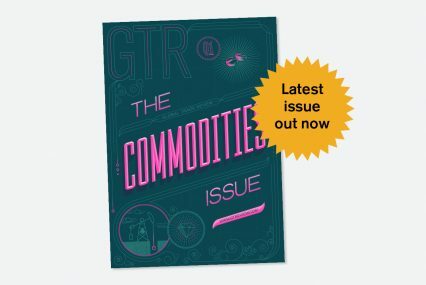 In The Commodities Issue, in addition to our usual coverage, we also shine a light on issues specific to this sector: from the impact of climate change on commodity prices, to a discussion among commodity traders about sustainability and corporate responsibility, and an analysis of how collateral management agreements can add a layer of security to commodity financing. Many of our most-read online news stories for 2017 (as measured by the number of clicks) were focused on commodity finance. The most popular of these stories was our coverage, back in June, of the industry’s latest high-profile warehouse receipts scam, which saw ANZ stung by a nickel fraud worth more than US$300mn, and where we point out the key differences from the Qingdao scandal of 2014. Our website stats show us that other top stories were related to blockchain technology (see our handy summary of relevant announcements in our fintech section) and cryptocurrencies (we’ve since heard about at least one case in which a bitcoin financing is being structured like a commodity trade finance deal, using the underlying currency as security – see this issue’s fintech feature). Also popular was our coverage of Maersk’s foray into the world of trade finance to offer shipping customers a one-stop shop to manage the ocean leg of global supply chains by combining financing with operations; and our report on how regtech could save banks £2.7bn on anti-money laundering compliance. As we embark on a new year, the GTR team looks forward to digging deeper into how these and other developments are underpinning change in the trade finance market. We wish all of our readers a prosperous 2018!